How I got started . . .
Mary holds a bachelor's degree in graphic design from SUNY College at Buffalo. She grew up on Long Island, NY and now resides in Bucks County, Pennsylvania. I have a graphic design background but have always loved to paint on the side. So, not long after I got married I thought it would be really fun to do an illustration of my bridal gown. It was displayed in an art show where I work as a senior designer. There a peer of mine saw it and asked if I could do a painting of her wedding gown too, and I happily accepted her request. That was the moment I realized my passion for creating such memorable pieces of art! I love to illustrate fashion and subjects that speak from the heart. 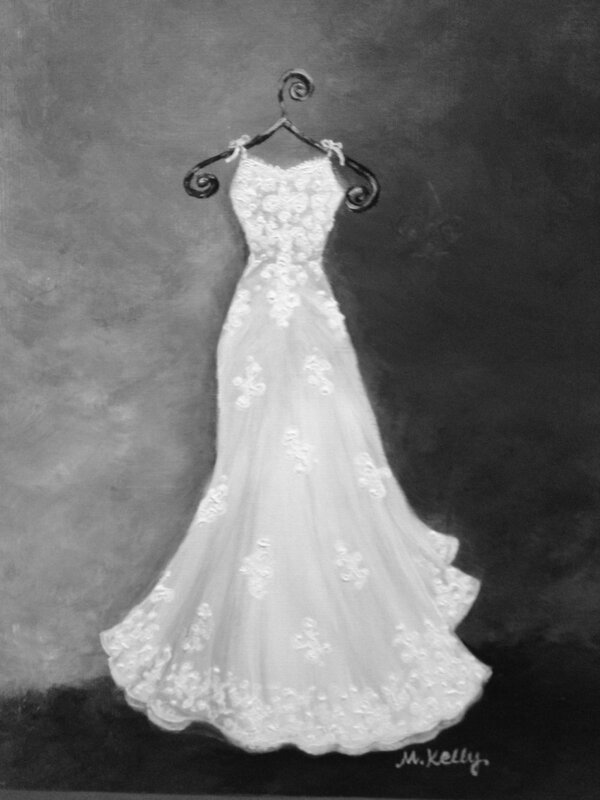 On this site you can view some of my bridal gown illustrations and place your custom order. And soon there will be a new section where you can purchase prints! © 2019 All images are owned by Mary Kelly unless otherwise stated. Images may not be downloaded, manipulated, or reproduced without prior written permission from Mary Kelly. Commercial or private use without explicit written consent is prohibited and punishable through U.S. and worldwide copyright laws. The artist retains all copyright privileges for advertising/press and sale of artwork does not transfer this copyright.